IVF.net - What is IVF? IVF is an acronym for in vitro fertilization ('in vitro' meaning 'in glass'). Simply put IVF is adding a man's sperm to his female partners eggs in the laboratory to produce embryos. In vitro fertilization is an option for many couples who cannot conceive through conventional therapies. These embryos are put back into the female partner's uterus (womb) after 3 to 5 days of being in the incubator, hopefully they will then grow into a baby. The reasons IVF is done include - poor sperm quality and/or quantity, obstructions between the egg and sperm, ovulation problems, and sperm-egg interaction problems. These problems can prevent couples having a baby naturally, and IVF helps to solve this. 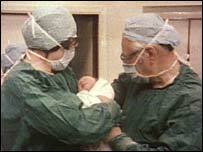 The first IVF baby was Louise Brown, born at 11:47 p.m. on July 25, 1978 at Oldham General Hospital, Oldham, England through a planned caesarean section. She weighed 5 pounds, 12 ounces (2.608 kg) at birth. Dr. Patrick Steptoe, a gynecologist at Oldham General Hospital, and Dr. Robert Edwards, a physiologist at Cambridge University, had been actively working on finding an alternative solution for conception since 1966. The video shows a conventional insemination with the egg surrounded by coronal and cumulus cells and sperm swimming around the egg. The video shifts focus over time from the egg to the sperm. 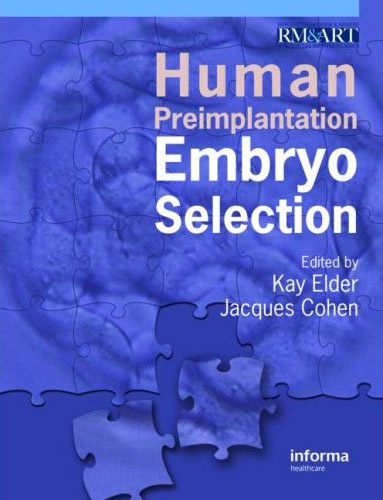 This site has being very useful to me as a beginner in the field of Embryology.